Besides your caffeinated beverage of choice, perhaps nothing gets you invigorated, out the door and ready to take on the day like a hot shower … and you’re squeaky clean to boot! It is just the opposite at the end of the day, where some of the more modern shower heads provide a welcome high-pressure showering experience guaranteed to wash the pressures of your work day right down the drain. Those big box stores offer shower heads that you can install yourself and will give you that powerful stream of water pelting down on your neck, shoulders and back. Now, that feels a little like a mini-massage and will take the edge off and awaken the senses. But, while those shower heads will suffice, you could consider moving beyond that simple chrome-plated device and into a realm of exquisite pulsating rain showers that will envelop you in a watery nirvana. All you have to do is visit a bathroom design showroom,= in New Jersey. There are so many shower options to choose from and the consultants can help define what type of shower design will best meet your needs. Why not look below and see what is trending today in shower design? The old standby bathtub is still around, mostly with families with young children or people who prefer a long soak in the tub, whether for bathing or just relaxation. Ken Gold, a custom kitchen and bath designer, says that bathroom renovation designs have changed over the years, especially in the master bathroom, because the larger shower experience is preferred to time spent in ornate whirlpools or corner tubs. 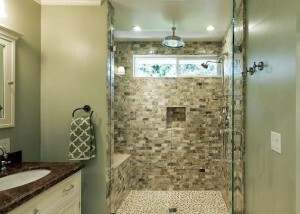 A good bathroom design consultant can make the shower unique to your home. Shower spray experience. The first step toward enhancing the shower spray experience, is the purchase of a new shower head. This is a basic DIY project in which new shower spray equipment is installed which runs the gamut of body spray functions of raindrops to waterfalls. Even a steam generator may be installed to create a relaxing spa experience. If you have the room to put a seat in the shower, you can create a steam room. Modern shower heads even include the ability to install preferences to showers, so you have preset temperatures, flow volumes and spray experiences for each shower user. If you are renovating your current bathroom around the new custom shower, it is easy to create any size or shape shower area that you want. Rectangular or angled showers are the trendiest shapes right now, but designers can work with you if you have an unusual shape in mind, provided it fits into the overall bathroom. The custom shower is not all about shape alone, but what the best medium is to use. Glass and porcelain are popular, but design consultants can obtain nearly any materials you want for that shower enclosure. Curb less. A current trend is a continuous, seamless look for the shower. This is referred to as a curb less shower. Its trait is that the flooring runs right into the shower, instead of stopping at the shower curb and provides a beautiful approach, even in a smaller bathroom space. The uniqueness of a curb less shower is the sleek and chic floor drains that run along under the glass, rather than in the center of the shower. Frameless. If your tastes lean toward the modern, or minimalist look, your best bet is a glass frameless shower. This trend has grown in leaps and bounds the past five years. 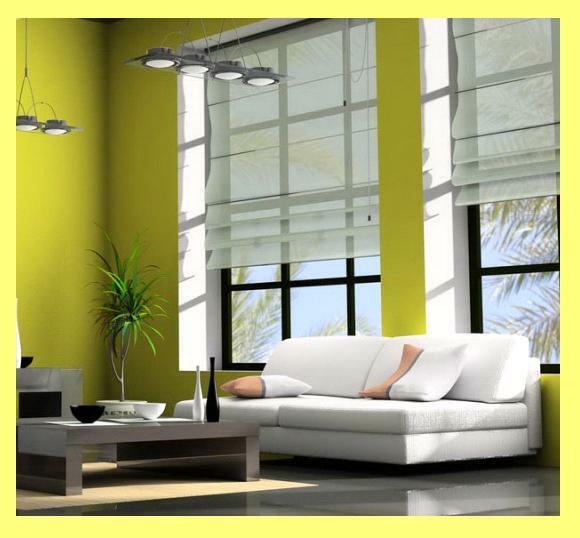 It is a “no nonsense” look in the home which features only enough hardware, such as chrome brackets, to ensure structural integrity. Choose thick, heavy 10 mm glass panels, chunky impactive handles, but absolutely no silicone sealing will be used in order to preserve a seamless and water-tight look, especially where the right-angles meet. Inside this glass compartment are classic tile treatments on the back wall or floor. You must ensure it is a water-tight design and you’re ready to go. Right now frameless showers are the hottest trend in bathroom design. Surround. With all the shower design ideas trending today, in straying away from the regular and ordinary shower, the “surround” is another way to go. A surround encompasses the showerhead design area and is generally made of stone. Marble is the all-time, most-requested medium for a surround and it may be just a large slab or many large tiles in mosaic patterns. Limestone is also gaining in popularity for the surround. Elongated. This concept is a walk-in shower which offers tandem showerheads at opposite ends of the 5 x 10-foot space and enough room to accommodate two people in the shower at one time. The panel enclosure is glass with waterproof frames to protect the windows from moisture and helps keep the open and airy look since light is able to filter in from the windows to reach the rest of the bathroom. Curved. Here, an S-shaped wall on one side of the shower serves as a stunning focal point for the entire bathroom. The wall itself is generally covered in glass tiles, plus the wall features a glass panel in the center which allows light to filter into the shower area. With a low curb, extra-wide entrance, optional bench, and hand-held showerhead, this shower is easily accessible for everyone. Sloped ceiling. In this bathroom design, the shower is positioned beneath a sloping roofline of a dormer or pitched roof which will in turn create a dramatic focal point and make excellent use of existing space. This spacious shower design includes multiple showerheads. Double Shower Doors. In this type of shower, there are doors on either side of the shower so that it may be accessed from anywhere in the bathroom. Marble surfaces are generally used, with glass on each side to allow the sun a warm welcome, while a solid wall near the bathroom’s dual vanities affords privacy. Skylight Shower. Another pleasing amenity to your shower bliss is a skylight positioned over the shower. Not only does this spacious shower provide plentiful light, it also permits an awesome view of the night sky. Corner shower. Vintage-style corner showers can fit the bill when you need to make the most of the space in a small bath. Steam shower room. Clear glass walls which extend from floor to ceiling permit the shower area to function as a steam shower. There is still an open and airy feel and your choice of glass tile on the wall and floor complements the rest of the bathroom area. Warning: Your new shower may be hazardous to your health … you’ll stay in too long and end up wrinkled! As you can see, there are a world of shower options out there just waiting for your perusal. As to the singing in your beautiful new shower – if you can’t carry a tune, no problem … one of the trending shower amenities available include mood lighting and equipment to stream music through Bluetooth technology through your shower head and you can just hum along.